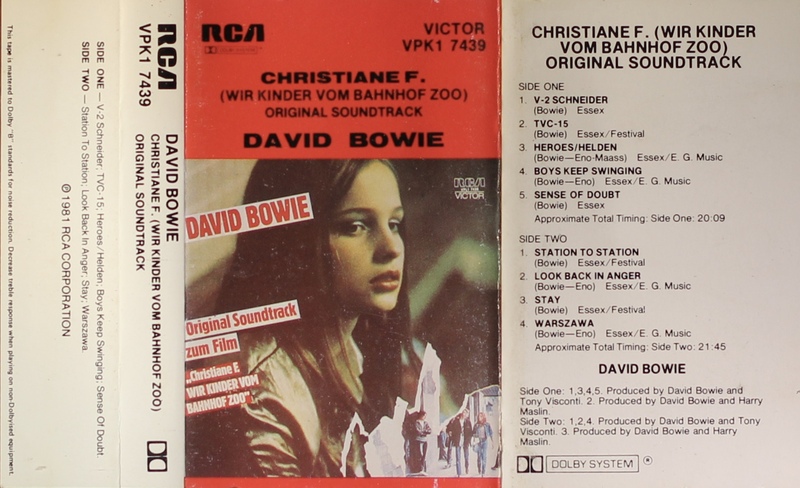 Christiane F: New Zealand; RCA, VPK1 7439; 1981. 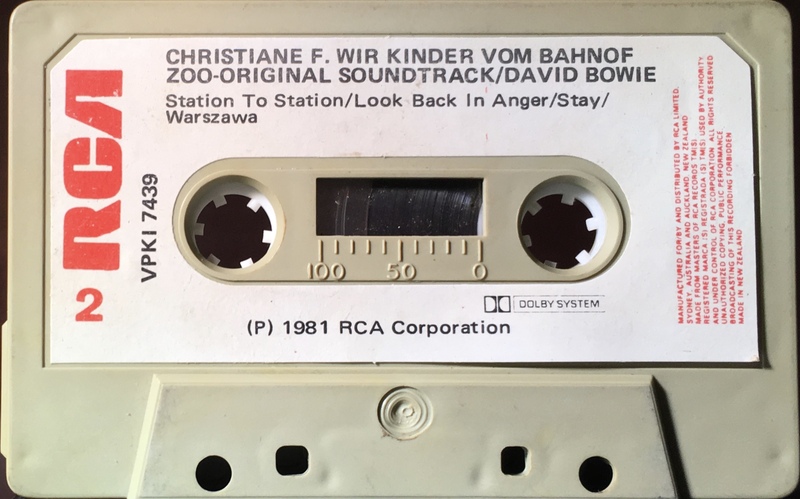 ‘Christiane F. (Wir Kinder Vom Bahnhof Zoo) Original Soundtrack’. Cover photo with red top third and white spine, inner and rear half-panel. Folded, treated, thick paper with track list on the rear and inner panels. Inside panels are blank. Differs from the Australian cover as there is no country of manufacture. 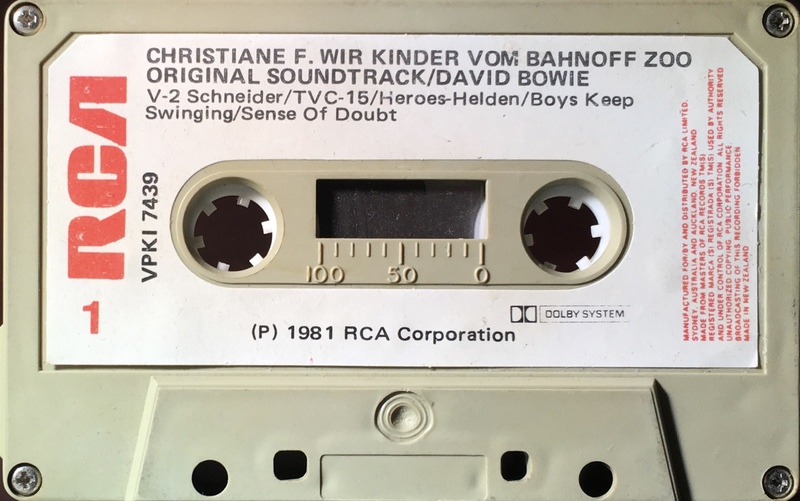 The cover photo is a copy of the Australian album sleeve. Black ink printed on white paper label with solid red RCA onto grey shell with track list. Manufactured for/ by and distributed by RCA Limited Sydney Australia and Auckland, New Zealand’ and ‘Made In New Zealand’.